When buying a Food Processor there are few things you should check before the purchase. 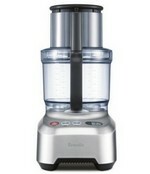 This is to make sure that your new Food Processor will be able to perform the types of jobs you require. Quality Food Processors come with various types of blades for different functions. These include jobs like chopping, grinding, pureeing, etc. Important thing to consider when it comes to blades is the material they are made of. Make sure that the chopping blades are made of quality stainless steel. You don’t want the blades to turn rusty after just few months. 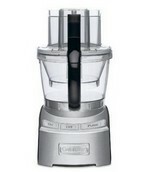 Best Food Processors are manufactured with increased stability in mind. Some heavy loads can create strong vibrations during the operation. Stable Food Processors should have heavy-build body and wide basement with the centre of gravity as low as possible. In other words, choose products that have their mixing bowls close to the bottom, not pushed too much upwards. You don’t want to buy cheap small Food Processor to discover later that its capacity is not enough. You also don’t need too big one that will be half-empty most of the time. 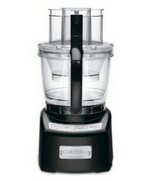 The rule of thumb is that for an average 4 to 5 persons family you should get 12 to 14-cup size Food Processor. If you are unsure then choose slightly bigger product than you need. It will give you some buffer or spare capacity should unexpected guests turn out on your doorsteps. In most cases the option “On”, “Off” and “Pulse” will do just fine. In fact, the majority of Food Processors manufactured these days have only these 3 controls. Sometime more speed controls are required. For example, for mixing dough it’s better to use slow speed motion. In this case you may want to look for Food Processors that offer more than just the 3 standard speed controls. This should not worry you too much since almost all Food Processors today come with dishwasher safe parts. However, to avoid surprise followed by disappointment, it’s worth to double check it before the purchase. Also, the good quality Food Processors should not have any sharp edges or cavities that are hard to access. In such cases the food can get stacked there and even dishwashers can have difficulties reaching and cleaning it. Best Food Processors should include various blades, disks and attachments. Before you decide on the right Food Processor, make sure that these parts come with it. Buying these parts separately later may significantly add up to the cost. Some manufacturers may try to sell their products for rock-bottom prices and then make extra profit on selling parts. If you encounter such dishonest practices, avoid the product. Some Food Processors support multi-functionality. It’s not very common though, but some of the more expensive models may include attachments or extensions that will allow you to juice fruits and vegetables. Another thing to consider when buying Food Processor is quality of Lids. They should tight properly. Loose lids can cause content to spill out. When it comes to feeding tubes (chute), the best ones are reasonably wide. This should make feeding your food so much easier. Also, there will be no need to pre-cut your vegetables. This is also the reason why you bought a Food Processor in the first place! 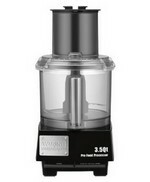 Some Food Processors even come with narrower pusher inside the feeding tube which should make the feeding of smaller items like carrots possible. Good Food Processor should be a strong one. The Power is measured as Wattage. Usually the Power Output is between 500 and 1000 Watts. Some easy functions like chopping do not require great Power. But other, for example dough mixing will be more demanding. Therefore, we consider sufficient value for Food Processor Power Output at around 700 Watts and above. 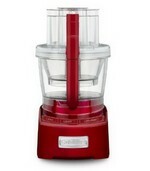 Some decades ago if you bought a Food Processor, it was not unlikely to last ten or even twenty years. Many of you may even have those products from 80-ties at home and they are still in good working order. Unfortunately times have changed and today’s Food Processors most likely won’t last that long. They have many parts made of plastic which tend to break pretty fast. Most manufacturers offer only standard 1-Year Warranty. If you find a Food Processor with longer warranty than that, it’s a nice bonus. The alternative is to purchase Extended Warranty. Most retailers offer them for reasonable prices. We hope that you have enjoyed this review and that it will help you choose the right Food Processor for your needs. If you have questions or would like to share your own experience, please do so in the comments below.